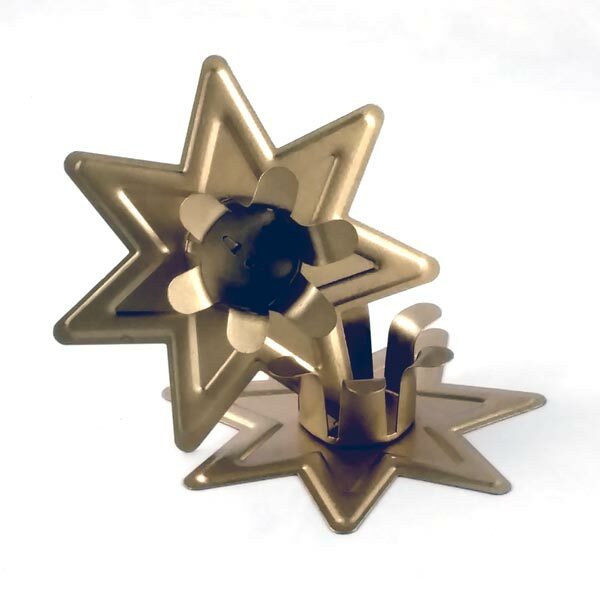 This inexpensive seven-pointed star shaped candle holder, fits my larger taper candles. It can be simply adjusted by pinching the center prongs closer together for a snug fit. Star base is 3" in diameter and it is 3/4" tall. Made for candles with a diameter of 3/4" to 7/8".